Dominion Energy was digging underground power lines on a friend's property. 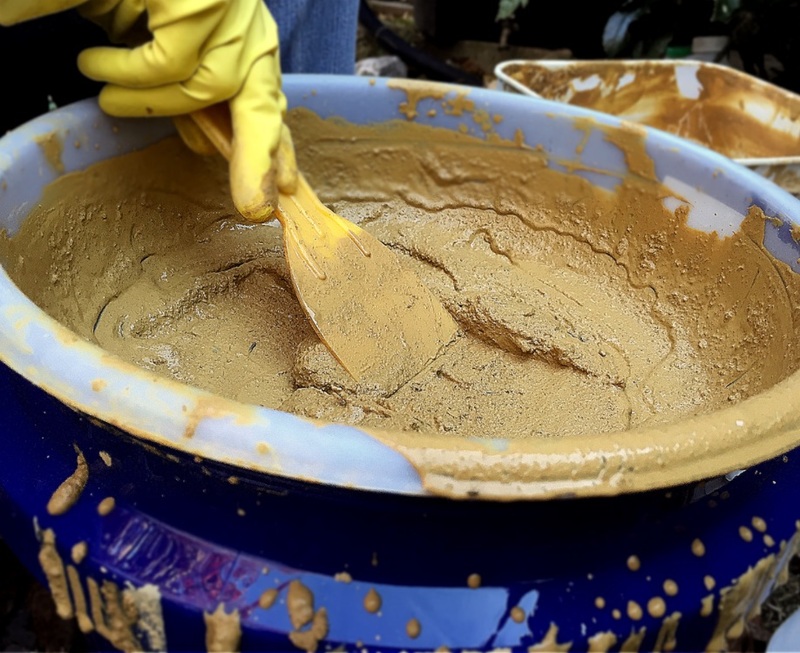 My friend called me when the auger brought up this rich looking ochre clay so I'm going through a process to refine the clay; something I haven't done since college. I'm so grateful for modern conveniences but it is nice to reconnect with the roots of how this process and the effort that potters of the past had to make to get their clay and make it workable. It remains to be seen how workable this batch will be but I'm enjoying the process as it brings back some nice memories. Love the color, can't wait to test this.